You’re working hard every day in your business. It’s the middle of the first month in a new quarter. How’s your company performing? Are You Making Money? How Do You Know? Quite simple isn’t it? These are three impactful questions that aren’t asked nearly enough by some business leaders. If you don’t know the answers, you need to nurture profit thinking. Unfortunately, many companies operate as cash mills: cash goes in and cash goes out – hopefully more of the former. Too often, outflows outpace inflows and leaders wait till it’s too late to correct the situation and suffer the consequences of neglect. Sometimes even exciting growth can be a deceiving elixir that can draw us away from day to day vigilance. For many, working in their business is utilizing their primary skill set, producing their product or providing their unique service in a field they happen to be an expert or an artisan. Often, these highly creative and productive people produce the best for their customers or clients, but not their own companies: the business of the business takes a backseat, or even worse, left behind in the garage. It’s great when everyone is busy, or appears to be, but are they working within a profitable mindset with corresponding profitable behavior? A high activity level does not equate to profitability at the end of the day, week, month, or quarter. When the accountant calls, it’s too late. Profit leakage comes in many forms and is generally undetected. So how does one plug the leaks? By exercising Profit Thinking all the time in everything you do. Nurturing profit thinking starts with awareness and is the foundation of the momentum mindset. As Stephen Covey taught in The Seven Habits of Highly Effective People, putting first things first and begin the end in mind are two central principles to effectiveness and success. Yes, producing the best product, service, or deliverable is a must. 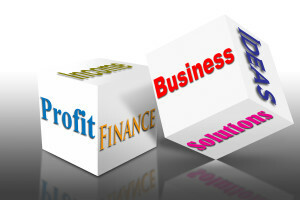 Doing it profitably is what good business is all about. Ask the Questions – Know the Answers! Profit Thinking always leads to asking these questions frequently before you do the work, make the decision, or do the deal. Are we making money? How do we know? If you don’t know the answers, it’s time to find out. Nurture profit thinking; it precedes profitable behavior and profitable results. If you need help developing and nurturing profit thinking in your business, call us.